With the Avalanche danger at High today, Rob and I put our route finding skills to the test. We got a 6AM start from Tibble Fork in AF Canyon and worked our way up to the Three Temptations area. With the early start and significant new snow, putting in a skin track was exhausting but well worth it. Touring and cycling are so closely related. Being 2nd behind the person breaking trail feels just like drafting on a road bike. And a freshly cut skin track reminds me of single track on dirt. Getting deep into the mountains like that was a nice change from the typical LCC or BCC tours. We kept it safe and skied mostly low angle terrain but a few spots made us very nervous. I skied with my eyes wide open and ears on full alert. Ended the tour with a high speed, narrow, bush whack exit. Made me wish I had racing gloves and poles with pads to knock away the branches. "I hurt myself today (and yesterday and the day before that), to see if I still feel. I focus on the pain...."
I can't get that song outta my head. But it's true. 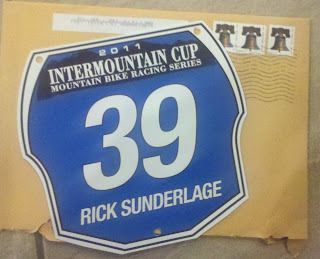 I've been trying to hurt myself to get ready for this silly ICUP race next week. I should probably learn how to train properly or taper or whatever but when in doubt, I end up craming in some hard efforts a couple of weeks before the race and go into it with my fingers crossed. This morning's hurt session was a ski tour from the Spruces up Days Fork. Just over 5 miles and 2,700 vertical. Rob, the wonder twin, Dug, Steve and I met up at 5:30AM. It's a long approach with a long climb but holds some of the best snow days after a storm. It's about that time when the new kits start arriving. 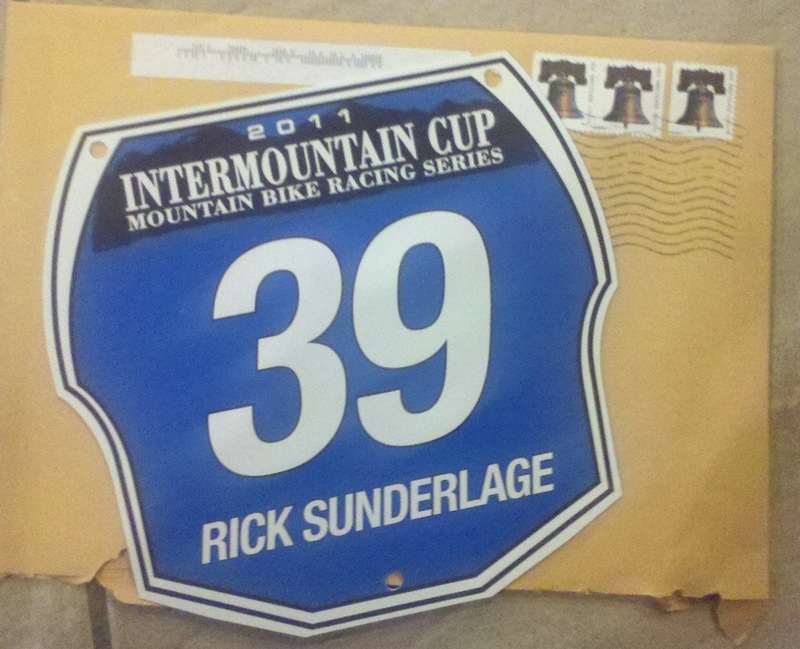 A sure sign that Spring is close and mountain bike race season is upon us. 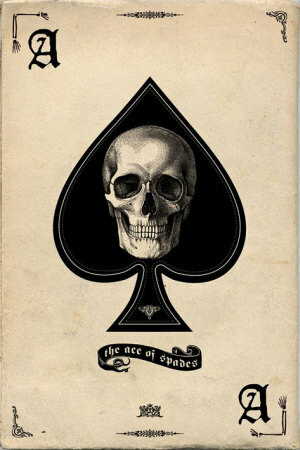 We've added a few secret weapons to the Adobe cycling team for 2011. It should be a fast group. 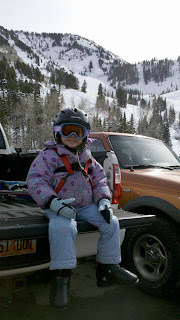 I spent the day with Sage (5) skiing the steeps of Snowbird. 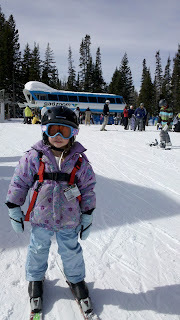 I'm trying to teach her now how to out ski the boys. As we drove up the canyon, she was looking out the window and got all excited. "Dad, that looks like a Y." She had her eye on the Y couloir. Some kids just have it in their blood. I think she will be a ripper. From time to time, despite my efforts to change in my car before and after rides, a co-worker will notice I am a cyclist. And it's not unusual for them to give me stuff to try. Today, I had someone drop off a bag of white powder and demand I try this before my next training ride or race. If it aint CarboRocket or Diet Coke, I won't try it. Simple. I met Rico for a lunch ride today. We did the "Adobe standard route" which includes a ridiculously steep climb. It's a short climb but it's pretty much a wall. After a long winter of not riding together, neither of us wanted to show our cards but we pushed it at times. I noticed Rico tends to sit down more on the climbs and I tend to stand up. I'm guessing he probably pees sitting down too. My daughter is doing her 5th grade science project. Measuring how different drinks affect tooth decay. Instead of using real teeth, she is using egg shells. The Monster Energy Drink egg actually started growing stuff. Nasty. As for the egg soaked in Diet Coke....Well I think it turned a beautiful shade of brown. Despite it being negative degrees yesterday, Rob (the wonder twin) and I decided to see how much we could suffer. So we met at 6am in LCC for some pre dawn backcountry. The top of Flagstaff. Strong winds and very cold temps. Just the way we like it. Then it turned into a race to the sun. The light was pretty amazing as soon as the sun came out. Rob stopped to take the pics. I have no idea how his fingers didn't freeze. The skins come off nicely in the cold. A quick ski cut and then it's all down. The cold temps would cause some issues with one of Rob's skins. He was missing the strap & clip on one of his skins and once we got to the bottom of the Main Days shot, it was obvious his skin would not stick to the ski. We tried a few tweaks with a strap from his pack, but it wasn't working. So Rob skied out BCC down to the Spruces and hitched a ride down the canyon while I hiked back up to the Flag ridge to get the truck and then drove to the base of BCC to pick him up. We celebrated our tour with an ice cold Diet Coke and went our separate ways into work. Good one.